Living in a Box were formed in 1985 in Sheffield, rising from the ashes of Typhoon Saturday. Their most commercially successful single, "Living in a Box", peaked at number 5 on the UK Singles Chart, and was the band's only single to chart in the Top 40 of the Billboard Hot 100 in the U.S. They enjoyed more success in their home country, releasing their self-titled debut album in 1987 and a follow-up album, Gatecrashing, in 1989, which went on to generate two further UK Top Ten hits, "Blow the House Down" (which featured Queen's Brian May on guitar) and "Room in Your Heart". Artistic differences, as well as changes to their record label Chrysalis, caused the band to break up in 1990 before a third album could be released. Lead vocalist Richard Darbyshire continued his long-standing music career, and went on to enjoy modest success as a solo artist, writing songs for artists such as Lisa Stansfield, as well as releasing two solo albums. These were How Many Angels (1994) and Love Will Provide (1999), which came as a reissue of How Many Angels, and included several new and unreleased tracks. The band's drummer, Anthony Critchlow nicknamed 'Tich' and keyboardist and synthesizer player, Marcus Charles Vere both retired from the music industry after the band split. Tich now runs his own company providing bespoke illumination and lighting installations. Vere now produces award-winning DVDs called Here Comes A ...! for pre-school aged children. Topics include live action films about tractors, diggers, trains and fire engines. 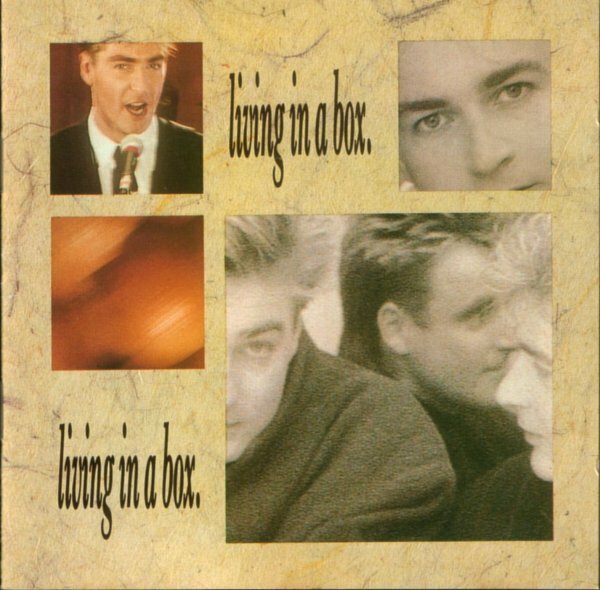 Living in a Box is the eponymous debut album from British pop group Living in a Box. It was released on Chrysalis Records in 1987, and features their biggest U.S. hit, the self-titled single, which reached a peak of number 17 that year. Things were different in their home country, however; the album peaked at number 25, while the title track reached number 5. A second single, "Scales of Justice" went top 30. A third single, "So the Story Goes", a collaboration with legendary singer Bobby Womack, hit number 34 in the U.K., while peaking at 81 in the U.S. The fourth and final single taken from the disc, "Love is the Art", reached number 45.